Ark is looking fantastic on PC, and getting constant updates thanks to being in Early Access and using all the feedback to improve the game as it progresses through the development process. 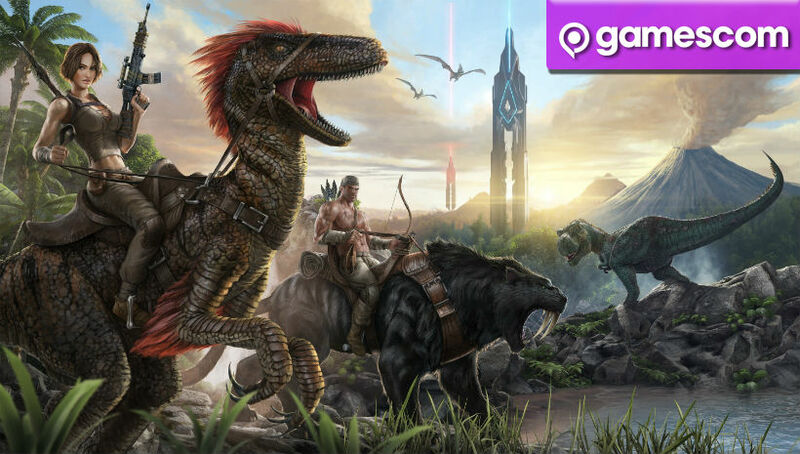 Now, thanks to the preview program, Ark: Survival Evolved will be coming to Xbox One. Here is the gameplay revealed in Germany during the Xbox One press conference. Beyond the fact that the game looks absolutely stunning, it’s great to see that the dino-riding will be coming to Xbox. The full game will be released later next year on PC and all new generation consoles, but for now it’s a great opportunity for Xbox gamers to get in on the fun before the full game is done, just like everyone on Steam. Ark: Survival Evolved offers players the opportunity to craft, survive, hunt and tame dinosaurs. It’s every kid’s dream come true, although it’s also ridiculously difficult, so don’t expect to survive your first time out. Or your second. Next article Homefront: The Revolution actually exists!